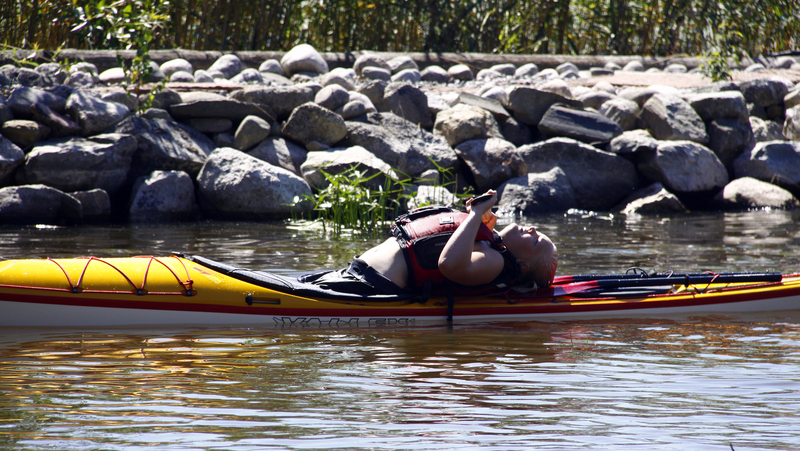 One of the keys to a solid Standard Greenland roll seems to be the ability to lean on to the back deck of your kayak. Being somewhat inflexible this takes some execise and determination. I could only wish for a nice lean like this. Amanda practicing last summer. By the way, she learned to roll in only a few hours.